It is common knowledge that physical therapy helps with relief of pain and improvement of function. In fact, it helps improve mobility, increase strength, reduce swelling and empowers individuals to live healthy, productive lives. Can be used by athletes to enhance performance at a competitive level. Helps treat severe injuries, joint deformities and issues associated with chronic diseases. Restores the ability to perform daily tasks in a pain-free manner. Can result in improvements to the work and home environment to increase safety. Help individuals recuperate from chronic conditions. Forms an essential part of the recovery and rehabilitation process following accidents, injuries and surgical procedures. Has the potential to be a stand-alone treatment. Can also be used in conjunction with other treatments for a complete health and wellness solution. Can be used to treat arthritis, chronic obstructive pulmonary disease (COPD), heart disease, cancer, diabetes and even migraines. Is appropriate for children and adults of all ages. 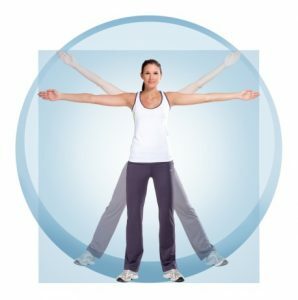 Hands-on techniques to bring relief – Specialized motions and movements to increase joint movement help to re-educate the body on how to move correctly. This helps in recovery following injuries and surgical interventions. Mechanisms to reduce pain – The application of electrical stimulation through a controlled stimulation unit can reduce pain in muscles, ligaments and tendons. Water therapy – In some cases, individuals perform prescription exercise programs in a swimming pool. The buoyancy of water decreases stress on joints, increases range of motion, reduces pain and helps develop balance. Sessions in a whirlpool can use the action of water to control pain and inflammation, and improve circulation and range of movement. Vibration Therapy – Sometimes called percussion therapy, the method is effective in the removal of phlegm and congestion for patients with chronic obstructive pulmonary diseases. Ultrasound – Acoustic waves are used to accelerate healing in soft tissue injuries and strengthen bones. Laser Therapy – Specific light wavelengths are used to stimulate healing at the cellular level. Massage – Therapeutic massage techniques are customized to the patient’s needs. Massage is used to counteract the effects of daily stress and maintain range of movement. The stimulation of the body’s internal healing mechanisms helps recovery. Clinical Pilates – A specialized form of exercise (different from conventional Pilates) helps build core and pelvic floor strength. It helps improve balance and function and can be performed with or without specialized equipment. Traction – The method stretches specific joints in the body and alleviates pain and discomfort in the spinal region. Walking Aids – Physical therapists help patients learn how to use mobility aids such as canes, crutches, walkers and wheelchairs to improve mobility and prevent injuries. In fact, we are committed to helping all our patients, and our community to live a better quality of life and lead a comfortable and active lifestyle. We treat patients with sports, work and auto injuries. We have helped individuals with a wide variety of chronic diseases and deformities to get relief from pain, dysfunction and disability. In many cases, this has reduced or eliminated the need for prescription medications. If you, a friend or a loved one has chronic pain, mobility issues, or suffered a fall or injury, we have an arsenal of scientifically based techniques to help. We can help alleviate conditions ranging from migraines to spinal injuries – call today to learn more about what physical therapy at Monmouth Rehab Professionals in South Amboy, NJ can do for you. This entry was posted on December 1, 2017 at 7:18 pm. You can follow any responses to this entry through the RSS 2.0 feed. Both comments and pings are currently closed.